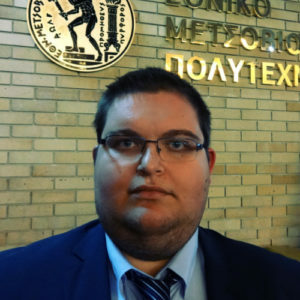 Mr Dimitrios Teressonok is a Civil Transportation Engineer, Research Associate in the Department of Transportation Planning and Engineering of the School of Civil Engineering at the National Technical University of Athnens (NTUA). He holds a Civil Engineering Diploma from NTUA majoring in Transportation Engineering and speaks Greek (native), English (fluently) and Russian (fluently). He has 15 months of experience in management consulting and is participating in research regarding road safety.